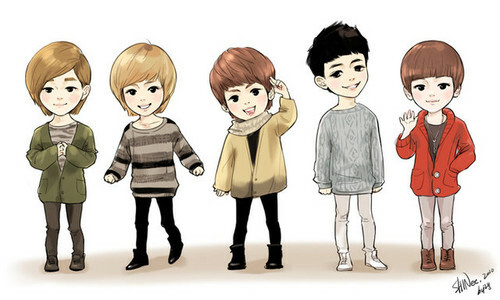 Shining SHINee <3. . Wallpaper and background images in the magicalfairy club tagged: shining shinee. This magicalfairy fan art might contain anime, bande dessinée, manga, and dessin animé. How can they be sooo kawaii? ?